Professional magician in Swansea available for weddings, parties and events. 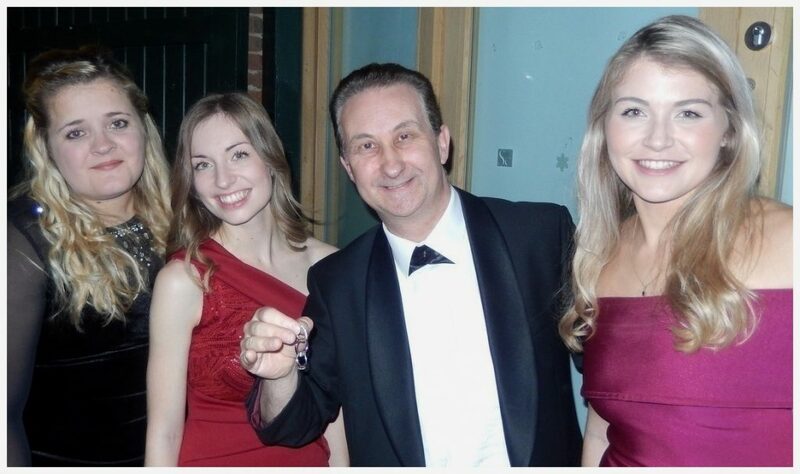 A trusted wedding entertainer for hire with over 100 Facebook recommendations! 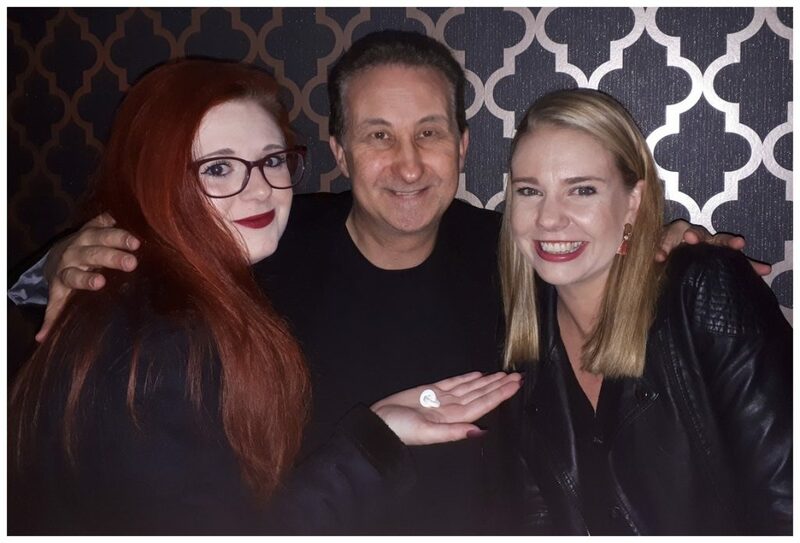 A popular close up magician with over 5 million YouTube views! An experienced magician. A former S.A.M.S. Table Top Magic Winner. Swansea wedding magic to raise the eyebrows of the men and melt the hearts of the ladies! Now this is a card trick ladies and gentleman! Swansea wedding magic to pack a punch for your reception guests! 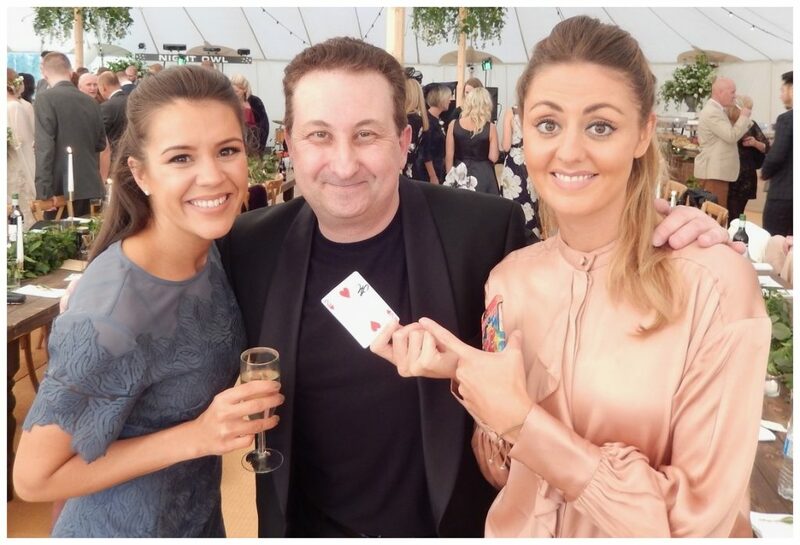 Swansea magician Andy Field is a highly experienced entertainer. Most Swansea professional magicians will tell you how good their magic is which is great. However when it comes to close up magic compliments in the real world self-praise does not count. 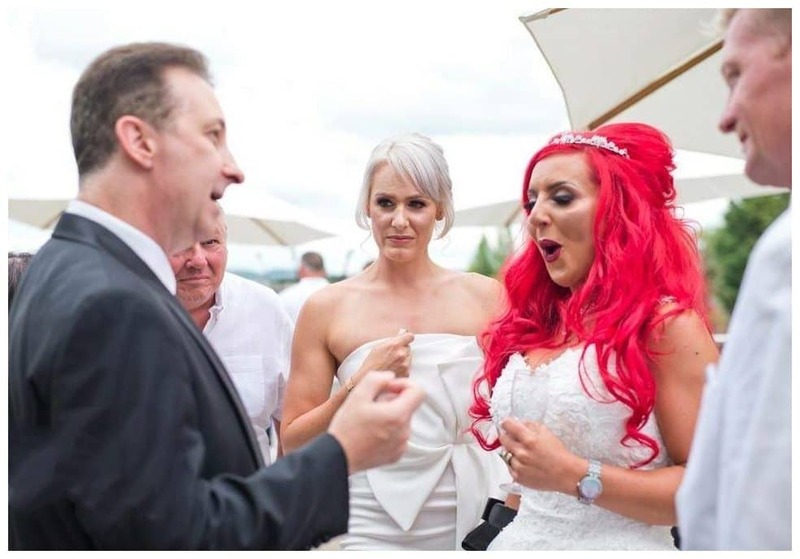 One of the best modern ways to decide on a magic supplier for your Swansea wedding or party is to look at their online Google and Facebook reviews. Swansea wedding illusionist Andy Field for hire. 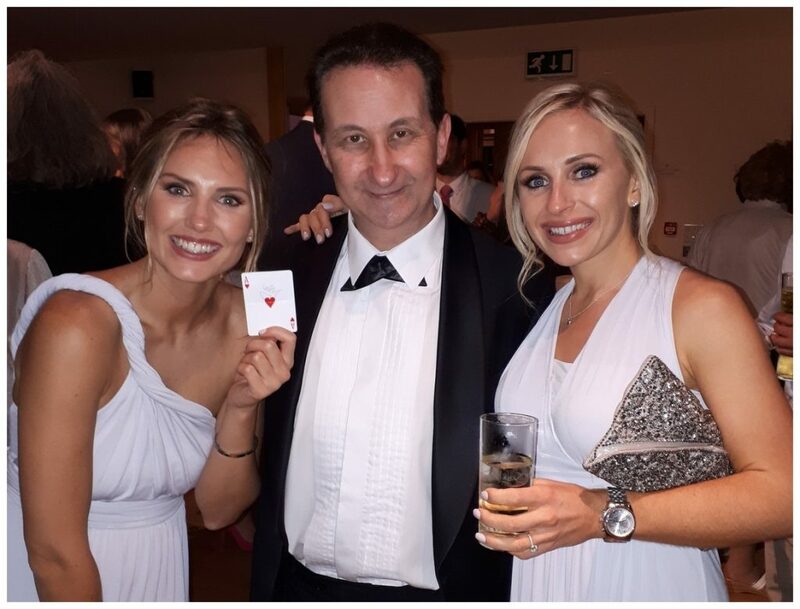 If you have your heart set on having a walk around magician entertain at your event then it is highly recommended that you hire a professional and reliable sleight of hand magic act. This is very important if it is a very special occasion such as a wedding or birthday party.  Magician Andy Field’s hire fees are by factors such as the date of your event, the time of day and how many people are attending. You will also need to consider that some magicians are better at entertaining and have more experience than others. Andy would endeavour to provide you with a free no obligation quote. The best thing to do would be to get in touch and provide him with as much information for your Swansea event as you can. Birthday party magic for your Swansea event you would be unwise to miss! Andy has performed in Swansea for the wonderfully happy people of Wales on many occasions. According to many of his online reviews his sleight of hand skills are superb. He comes very highly recommended as a Swansea birthday party magician. Andy is guaranteed to wow your family and friends by creating a marvellous and positive atmosphere for your birthday party event. This will encourage guests to socialise and talk. His personality is charismatic and charming. Combined with his strong close up magic skills he can also act as a perfect host in welcoming your family and friends. Fast moving entertainment to enhance your Swansea party! Most people have heard of a magician performing card tricks at a Swansea birthday party but have never seen one live. Table top and walk about magic is definitely and a social and interactive style of entertainment! Andy performs strong and direct close up magic. He uses playing cards, coins and money to produce impossible moments that you guests will rave about and remember for months! He is also a very accomplished mind reader! Keep your secret thoughts safe! Watch a mixture of live and studio performances from Andy. Andy has a friendly and amiable personality. He can mix well with your family or friends. Any Swansea wedding or birthday party event will have its down time. These are the times when it is best to have Andy perform. Some of the most popular are during arrival drinks, photo calls, wedding breakfasts, room changes and evening receptions. 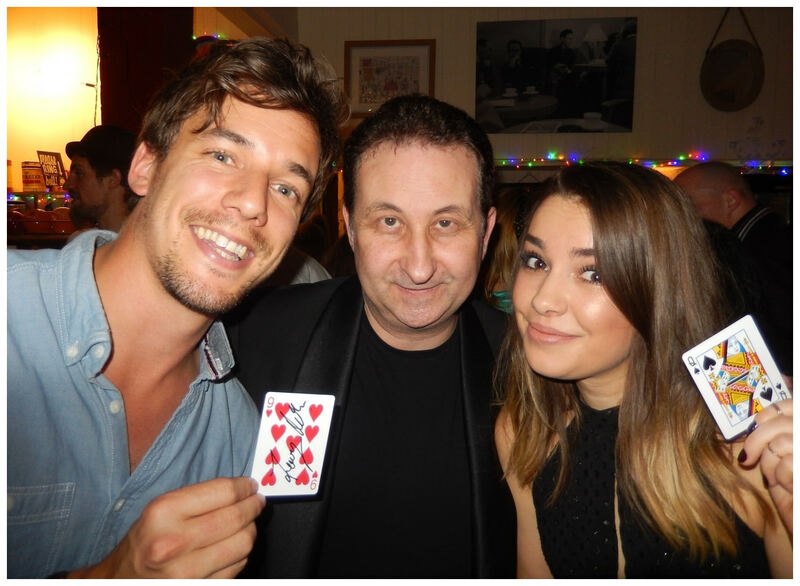 An absolute joy of close up magic to experience and remember for your Swansea event! As a Swansea magician he can perform virtually anytime any place and anywhere. His walk around magic is very flexible and requires very little space. Hopefully the weather will be beautiful for you event. However should it rain then Andy can still perform and amaze inside! Compared to other tradition forms of birthday party entertainment his fee will be competitive. Andy can connect with and amaze your guests! Andy is a very experienced professional magician. He supplies entertainment for weddings, parties and corporate events in and around Swansea. Conjurer Andy lives on the Welsh border just outside Wales. He is a natural born performer who enjoys socialising and entertaining people and making them happy! What a way to make a living! His magic YouTube channel has millions of views and he has won competition awards in his industry for his magical performances. He has also done much work for television productions. He is very passionate in his approach to both his work and his customers. If you have any special requirements, questions or requests then please do get in touch. He would be delighted to help you! Walk about magic which is current and baffling! Get your Swansea Corporate business meeting started with Andy’s close up corporate magic. This will give your guests the experience of some unforgettable magic making your VIP event memorable and unique. Overall Trickster Andy is very experienced in the corporate market. As an entertainer he knows just how to make you guests feel happy and welcomed while performing for them! Making people happy and entertaining them is what it is all about! 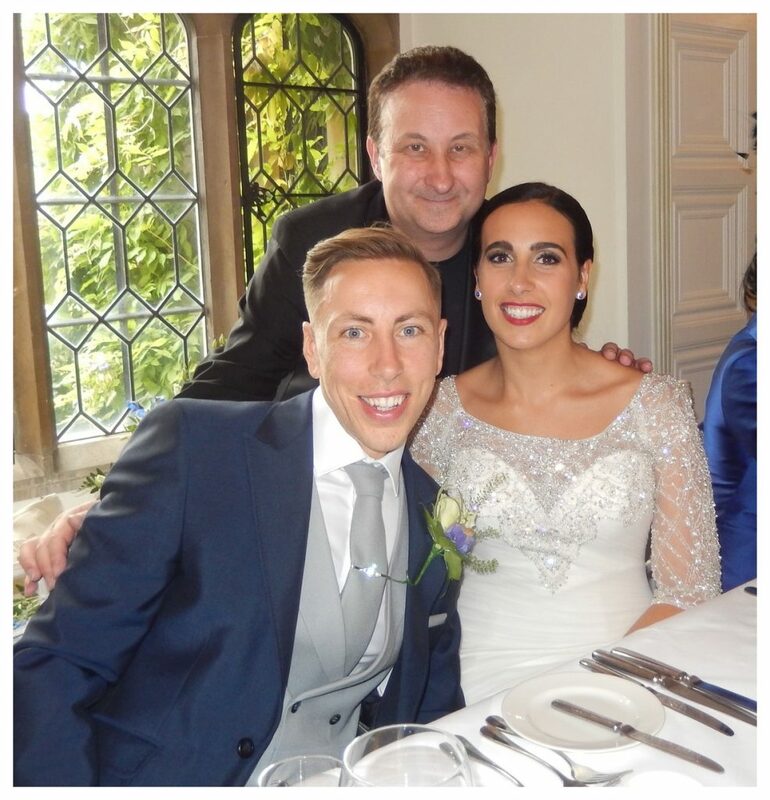 Professional wedding and party magician Andy Field has many positive reviews from previous customers in Swansea. These are on his Facebook page. He comes highly recommended and trusted. He will provide a truly unique experience for your event even if he has to go the extra mile. 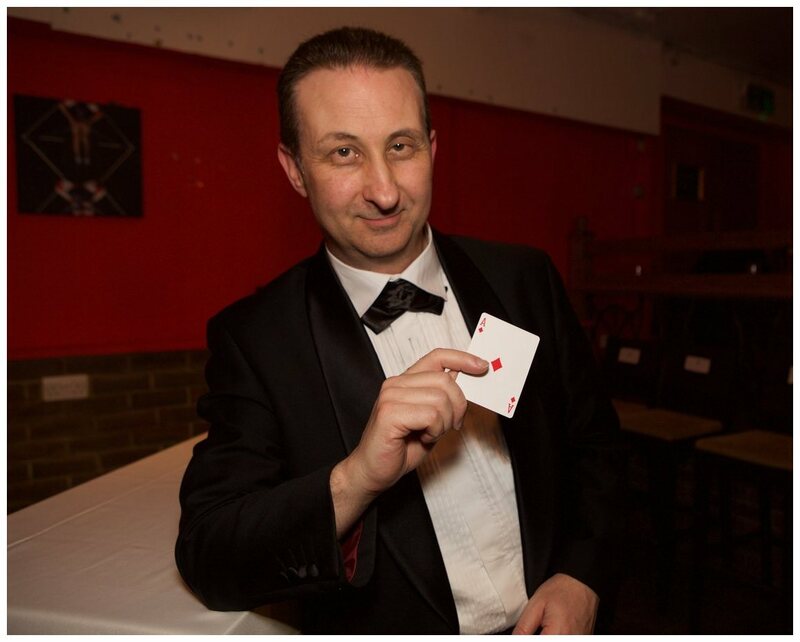 If you are over eighteen years of age and have a passionate desire to learn and study the art of close up magic then Andy can help you. Professional magical tuition is available throughout Swansea and Wales. Overall many techniques to cover magical issues are available. You may want to excel your social skills and confidence. Perhaps you just want to study magic for your own personal growth and satisfaction. Whatever you requirements feel free to get in touch. Andy can help.